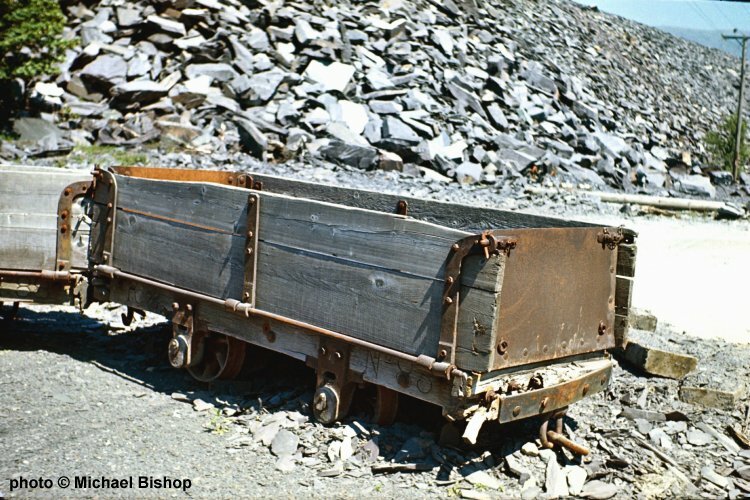 Michael Bishop visited Penrhyn Quarry at Bethesda on the 17th of June 1967. 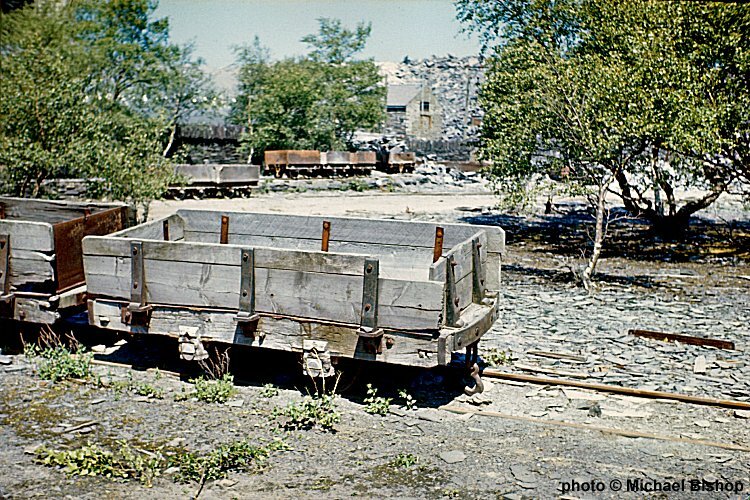 By that date the quarry had finished using rail transport and the remaining locomotives and wagons were being scrapped. Tracklifting of the remaining 2 foot gauge tramways was also being undertaken. The Penrhyn Railway down to Port Penrhyn had closed in 1962 and all the steam locos on site had been disposed of. These melancholy views show the end of an era in what was once one of the largest slate quarries in the world. Three rubbish wagons their days of toil over, these wagons were at the end of a long line of such wagons. This is the chassis of Sanford which was built by Bagnall in 1900. 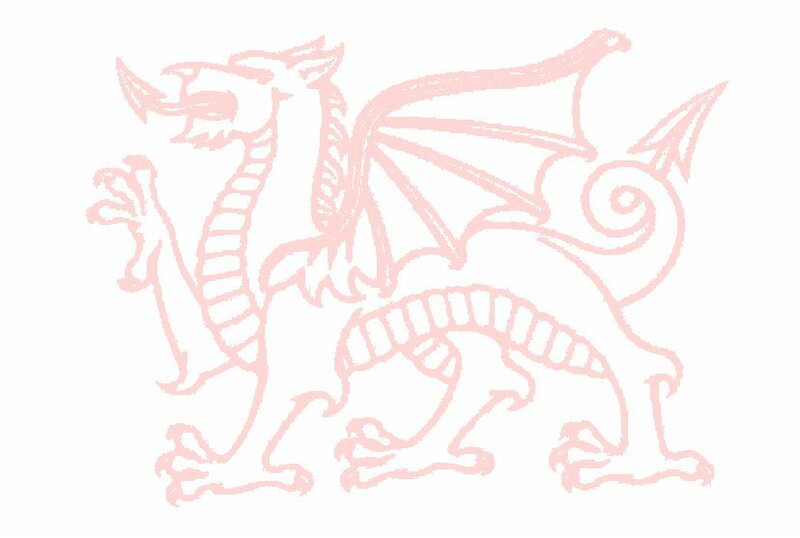 It was purchased in 1929 from Maenofferen Quarry. 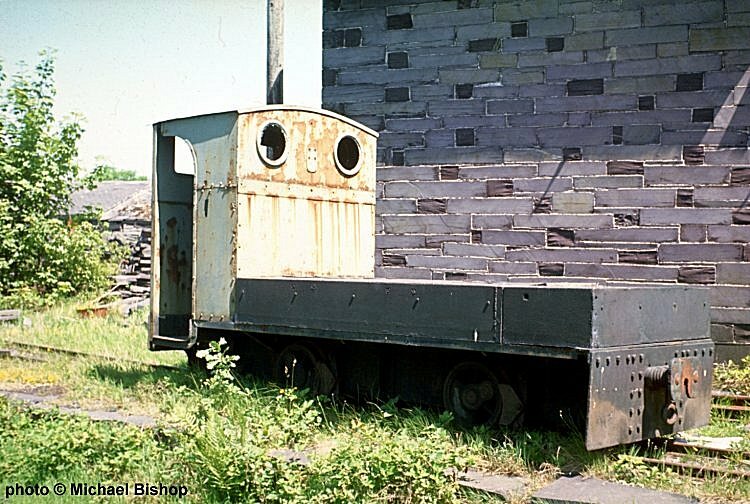 In 1956 the loco was converted into a brakevan for use on the Penrhyn Railway. The chassis was scrapped not long after this photo was taken. Looking towards the quarry from Felin Fawr. 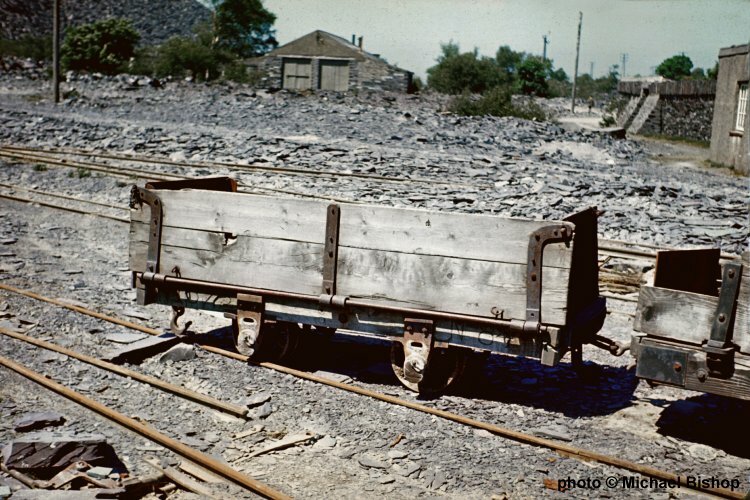 These three photos are of Fullersite wagons. 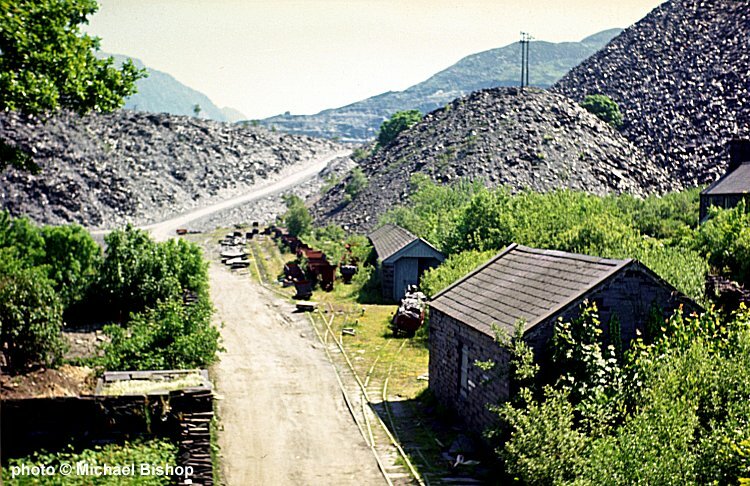 Fullersite is waste slate ground to a fine powder and is used in industry for paint making, as polishing powder, on felt roofs and as a filler. 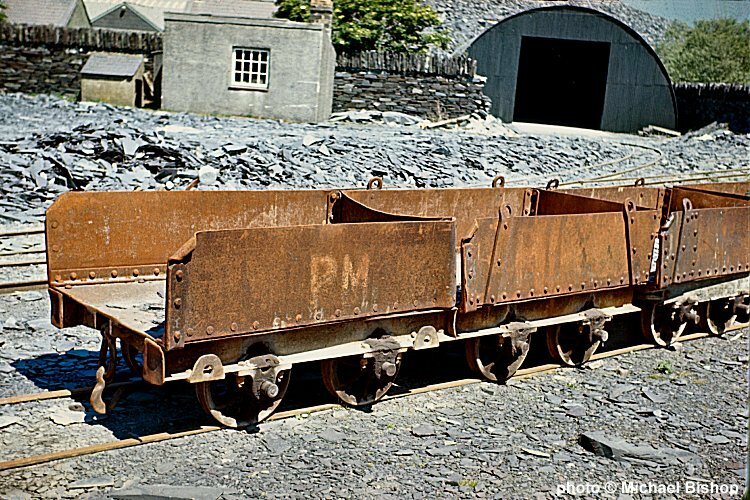 These wagons transported the material down to Port Penrhyn were it was shipped onwards by sea or loaded onto standard gauge wagons.